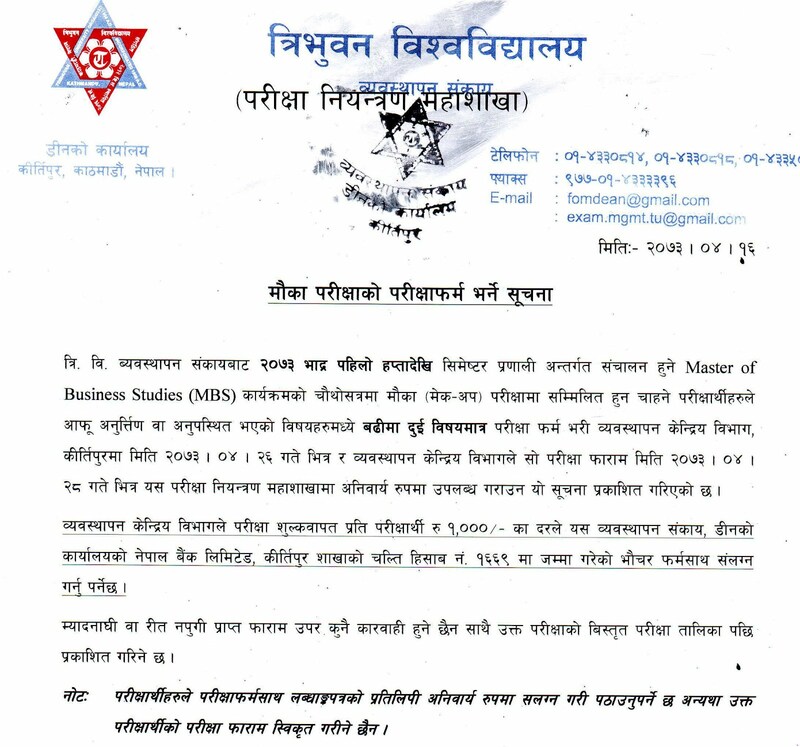 Tribhuvan University, Faculty of Management, Examination Directorate, today publishes examination form fill up notice for the make up examination of Master of Business Studies (MBS) Fourth semester. Students who have failed or absent in maximum two subjects can fill the examination form within Sharwan 26, 2073 and submit to Central Department. Central Department has to submit the filled examination form to this directorate within 28th of Sharwan.